Natural materials like rattan, reed and sisal are increasing in popularity. They offer character, texture and warmth to your decor with a touch of exoticism. 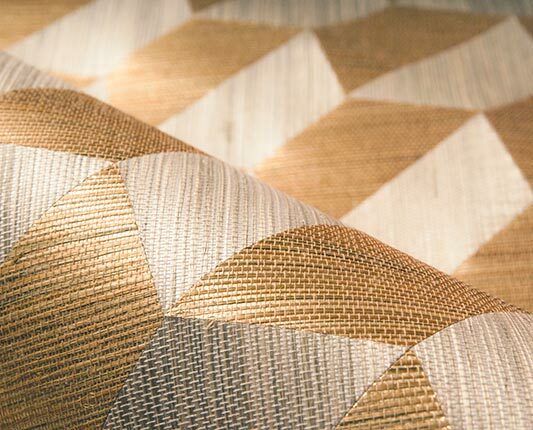 That is why Arte developed Oculaire: handmade sisal fibre wall coverings. 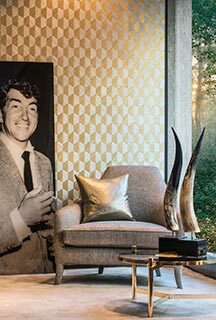 The collection consists of contemporary and playful designs, offering a subtle, tropical vibe. 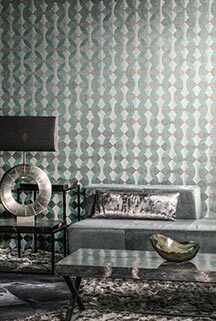 Oculaire provides a very special wall covering for your house. The sisal is hand-woven. 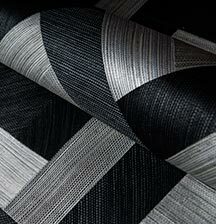 Due to the fact that the wall coverings are made from a natural material like sisal, you get a very pure product. The fabric is cut into pieces with a punch. The cut-out elements are then laid in by hand and glued into a pattern, creating a trompe-l’œil effect. A process that has to be done with extreme care. Something only real craftsmen has the skills for. Oculaire includes four designs and one uni. 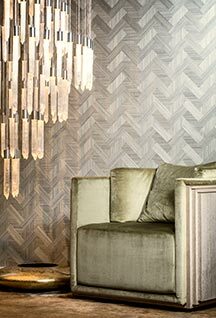 A herringbone motif often feels crowded, but with the use of sisal, you get a much softer and more natural design. Easy (instead of unpleasant) on the eyes. 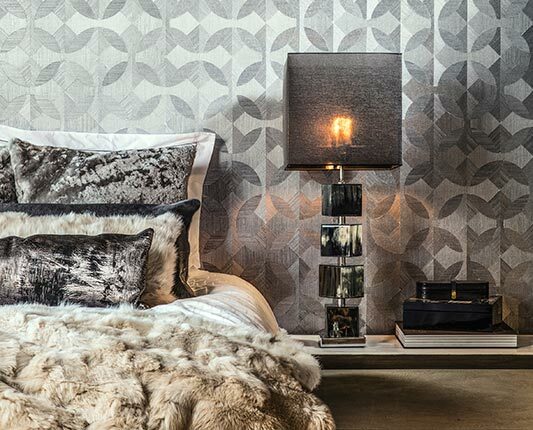 The soft colour shading in the fabric also creates a tranquil pattern that looks beautifully balanced. In addition, this kind of design makes your spaces look higher. Combine from Arte’s Oculaire collection. 7 colour variations. 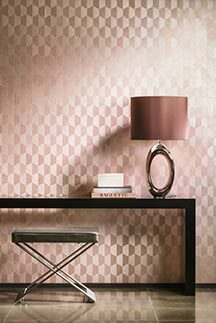 Insignia combines the botanical trend with geometry in a modern way. By working with structures and shapes, you will showcase nature in a unique and playful way in your house. Here too, the shades of colour in the fabric ensure a smooth transition in the pattern. Do you prefer something a bit more eccentric? Metric plays with different shapes and figures that combine to produce a fascinating pattern. The sequence of figures looks like unique tile formations. Choose one overlapping colour if you want a subtle line-up, or go for the tricolore if you want it to be a bit more striking. Metric from Arte’s Oculaire collection. 7 colour variations. Round shapes are omnipresent in the decor and also look good on the walls. Unite seemingly combines circles to create an optical illusion. 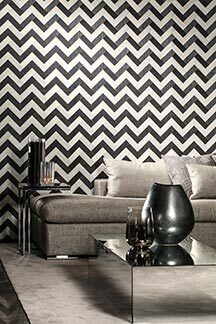 The contrasting lines and shades of colour in the pattern provide an extra dimension to the design. Unite from Arte’s Oculaire collection. 7 colour variations. Line is the uni that makes this collection complete. 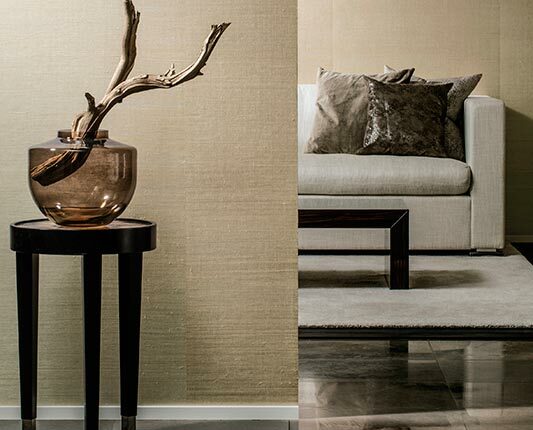 No striking patterns here, but a plain wall covering that radiates tranquillity and warmth. Line is also made of sisal, making it perfect to combine with any of the designs from this collection. 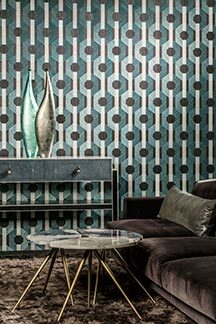 Line from Arte’s Oculaire collection. 13 colour variations.